Turkey's Minister of Foreign Affairs Mevlut Cavusoglu arrives at a meeting to discuss the Rohingya situation during the United Nations General Assembly in New York City, U.S. September 18, 2017. BERLIN - Turkish Foreign Minister Mevlut Cavusoglu said on Saturday he would work towards a normalization of relations with Germany after months of mutual recriminations on a range of issues between the NATO allies. Already tense relations took a turn for the worse after Turkish President Tayyip Erdogan launched a crackdown on his opponents following a failed coup attempt last year. Germany has also protested against the detention of German citizens on political charges and has raised the question of whether EU accession talks with Turkey should go ahead. Striking an unusually conciliatory tone, Cavusoglu told Der Spiegel weekly there was no reason for problems between the two countries. “If you take one step towards us, we will take two towards you,” he said. Earlier this year, Erdogan and some of his political allies compared Germany to the Nazi era after some local authorities stopped Turkish ministers campaigning here for a referendum that handed the president sweeping new powers. German officials cited security concerns. The Nazi comparisons were a kind of “response to the hostility” from Germany, Cavusoglu said, adding Germany had to learn to respect Turkey. However, he said Germany would not be silent when innocent German citizens are behind bars. “We must find solutions to this,” he said. In an election on Sept. 24, conservative Chancellor Angela Merkel won a fourth term but suffered heavy losses to the far right. She looks set to try to form a coalition with the pro-business Free Democrats (FDP) and Greens. A possible candidate for foreign minister is Cem Ozdemir, a co-leader of the Greens who has Turkish parents and has been very critical of Erdogan. “Whoever comes to Turkey as foreign minister will meet the same respect as he shows us,” Cavusoglu told Der Spiegel. 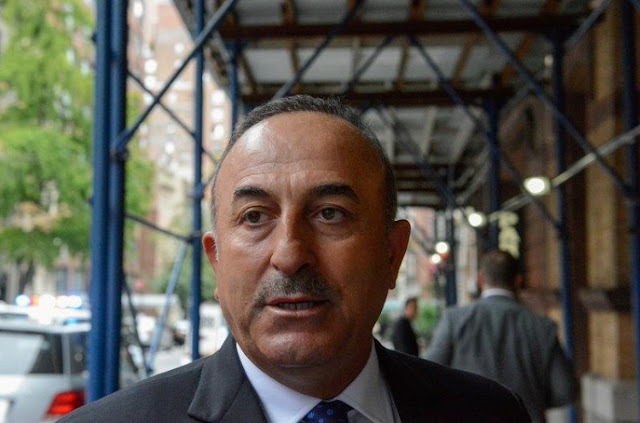 Turkish Foreign Minister Mevlut Cavusoglu said on Saturday he would work towards a normalization of relations with Germany after months of mutual recriminations on a range of issues between the NATO allies.